Ireland and Galway will welcome women from across Europe and beyond to this exciting BPW conference which will see a host of international and local speakers impart knowledge, insight and inspiration to attendees. The conference welcomes BPW members and non-members. If you are not a member of BPW you can purchase tickets for the conference and side events here and avail of our Galway Executive Skillnet subsidy. 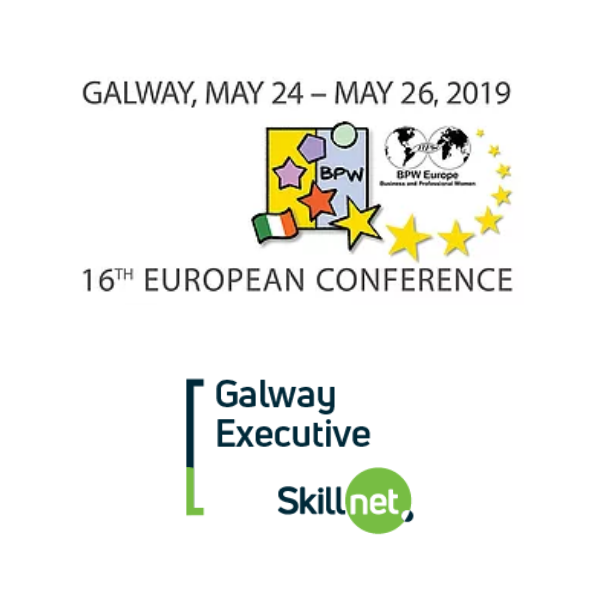 Galway Executive Skillnet are delighted to partner with BPW Galway in the promotion of their forthcoming BPW European Conference. Ireland and Galway will welcome women from across Europe and beyond to this exciting weekend event which will see a host of international and local speakers impart knowledge, insight and inspiration to attendees. The conference welcomes BPW members and non-members. If you are not a member of BPW you can purchase tickets for the conference and side events here and avail of our Galway Executive Skillnet reduced subsidised rate. To book your place please email info@galwayexecutiveskillnet.com.